Your flat feet may not give you too much trouble, but they can cause heel pain and even lead to ankle or knee pain due to alterations in the alignment of your legs. Jay Bhuta, DPM, at Ankle & Foot Doctors of New Jersey located in Millburn, New Jersey, is an expert podiatrist and surgeon who can assess your feet and provide treatment to help reduce the risk of both foot and leg pain from your flat feet. For an evaluation and treatment plan, call the office or schedule an appointment using the online booking button. Even if you’re not having symptoms, you should have your flat feet evaluated by Dr. Bhuta so he can explain the type of issues you may experience over time from your flat feet. How did I get flat feet? While you were born with flat feet, your arch develops as you grow. But due to variations in foot type, some people never develop an arch, and their feet remain flat. 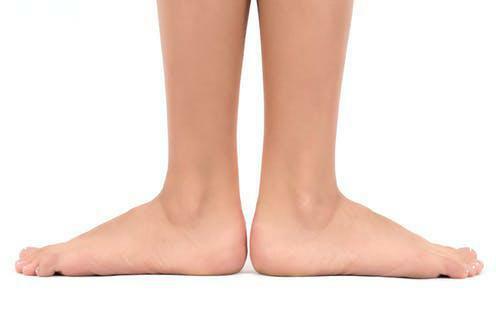 Flat feet may also develop as part of your aging process. Dr. Bhuta may also recommend immobilization of your foot with a foot cast. If your flat feet are causing knee or back pain, Dr. Bhuta may recommend custom orthotics he can create for you to improve leg alignment and reduce pain. Ankle bracing, referred to as ankle-foot orthosis devices, may also be part of your treatment if your ankles need additional support. If conservative treatments don’t improve your symptoms and pain, Dr. Bhuta may recommend a surgical procedure to correct your foot deformity. Surgery, however, is rarely needed for flat feet. For treatment for your flat feet, call Ankle & Foot Doctors of New Jersey, or schedule an appointment using the online booking button.